HIGHLIGHTS: Flint Ridge is a nearly eight-mile long vein of high-quality flint located in the Licking and Muskingum counties of eastern Ohio. Hundreds of quarry pits and workshop sites are scattered across more than 2,000 acres of ridgetop in these Appalachian foothills, and it has been called the “Great Indian Quarry of Ohio. The ancient people of Ohio came to get flint for both tools and weapons in this area, and the flint was found as far away as Florida and Kansas once traded by these ancient people. Flint Ridge State Memorial has two trails that wind past the flint quarry pits. 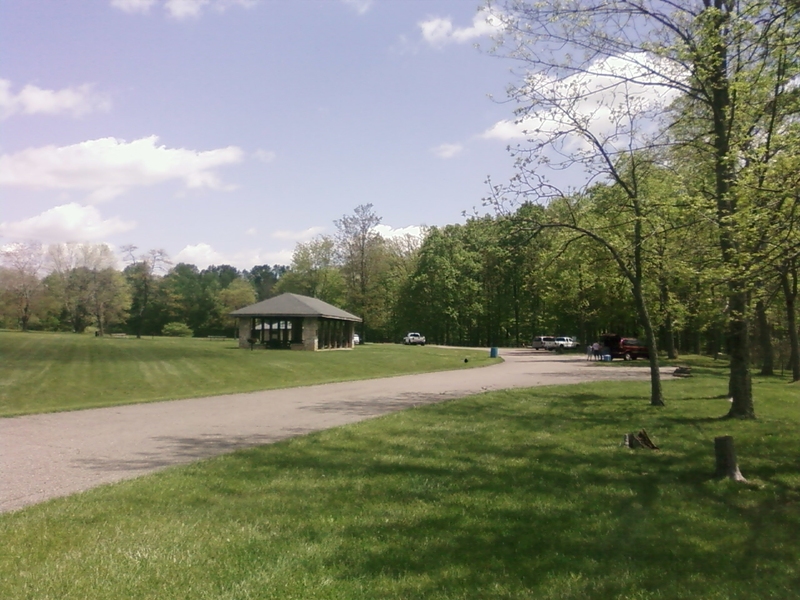 The 1.5 mile hike starts across from a field near the picnic area in the park. Follow the trail heading south and into the woods and turn east to begin the loop. The path winds through a hardwood forest then turns west, crosses some streams, and takes you to the quarry pits a short distance from the museum. A large wooden Indian greets you at the end of the trail as you reach the building. Continue about 50 yards, then return to your car at the picnic area. This is a fairly easy hike suitable for kids and adults of all ages.